Jody McIntyre hit the headlines late last year, when police pushed him from his wheelchair at a demonstration here in London against cutbacks to education. Although I have never met Jody, I am an admirer of his campaigning work on a number of issues, including the Israel-Palestine conflict. I was particularly impressed with a point he made in a recent speech, where he observed that the name Arthur James Balfour is far more readily recognised in Palestine than in Balfour’s native Britain. 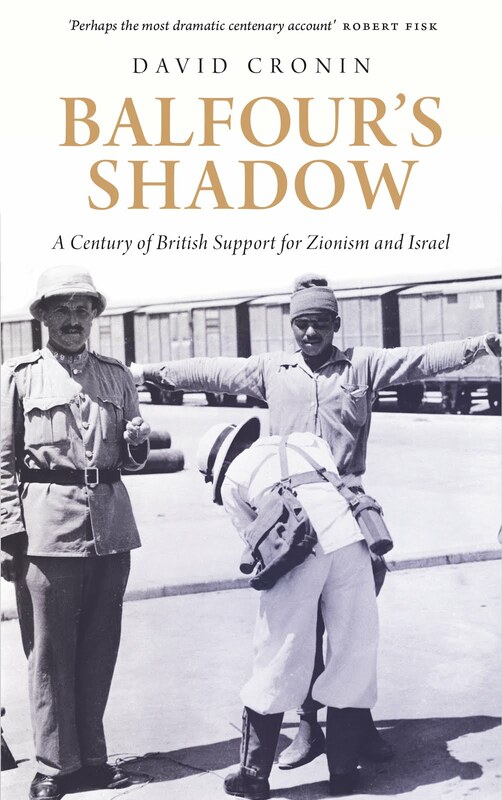 The words of Balfour illustrate how the establishment of the state of Israel can only be viewed as a colonial project based on a toxic notion of racial supremacy. Because Britain gave its blessing to this project three decades before its goals were realised, the ruling elite in this country must share in the blame for everything that has happened subsequently. This includes the ever-tightening embrace between the European Union and Israel. Some London newspapers regularly convey the impression that Britain has been dragged into the European Union against its will. Yet while the United Kingdom may have a semi-detached relationship with Europe on some economic matters, it plays a central role in shaping the EU’s foreign policies. Five UK representatives have been especially influential over recent years in ensuring that the EU mollycoddles Israel like no other state outside the Union’s borders. The best-known of the five is Tony Blair. In an abuse of the English language, Blair is routinely described as an international “peace envoy” for the Middle East. Not only did the former prime minister team up with George Bush to launch an illegal war in Iraq, he has consistently accommodated Israel’s war crimes. When Israel subjected the people of Lebanon to a merciless assault in 2006, most EU countries wished to formally call for a ceasefire. The exception was Tony Blair, who blocked the Union from doing so. In his memoirs, published in the autumn last year, Blair intimates that he did not simply support Israel on that occasion because his puppetmaster in the White House told him to. Instead, he wrote that condemning Israel “would have been more than dishonest; it would have undermined the worldview I had come to hold passionately.” Blair also wrote that he regarded the attack on Lebanon as part of “a wider struggle between the strain of religious extremism in Islam and the rest of us”. Reading these comments has helped me understand that Tony Blair is in some respects the Arthur Balfour of the twenty-first century. He acts as an apologist for Israel even when it slaughters over 1,000 civilians – as it did in Lebanon in 2006 and Gaza more recently – because he has swallowed the main principles of Zionism. This explains why despite his veneer of impartiality, he has been recruited as a peddler of propaganda for the Israeli state. Following Israel’s murder of nine peace activists on the Gaza Freedom Flotilla in May last year, Blair held extensive talks with Binyamin Netanyahu about how to manage the political fall-out. It was Blair, who travelled around praising Israel’s decision to loosen ever so slightly the noose it had placed around Gaza, well before the details of this piecemeal easing of the blockade were announced. When the invasion of Iraq was being prepared, Tony Blair’s top adviser on foreign policy was a diplomat called Robert Cooper. As Cooper is now a top-level foreign policy strategist in Brussels, he is the second UK representative I wish to speak about. Fancying himself as an intellectual, Cooper clearly enjoys putting his thoughts about global affairs down in writing. His 2003 book The Breaking of Nations offers a highly readable and highly frightening insight into the thinking that pervades the British Foreign Office. Cooper contends that a new form of imperialism is necessary for the twenty-first century. His book, for example, lauds the “limited form of voluntary empire” that the World Bank and the International Monetary Fund embody, without expressing any concern about how these two American and European-dominated institutions have subjected whole countries to misery. Cooper enjoys close relations with several pro-Israel lobbyists in Brussels. He has penned joint pamphlets with Ronald Asmus, a leading figure in the German Marshall Fund of the United States, who has been campaigning for Israel to be admitted to NATO. Cooper has proven amenable to the core arguments of the Israel lobby. He has been advocating behind the scenes that the European Union should take a strident approach towards Iran over that country’s nuclear programme. This chimes with the sabre-rattling towards Iran from both Israel and the United States. And it is brazenly hypocritical. It was not Iran that introduced nuclear weapons to the Middle East. It was Israel. It is not Iran that refused to sign the nuclear Non-Proliferation Treaty. It is Israel. And yet it is Iran that has been subject to sanctions from the European Union over its nuclear programme. Not Israel. At the beginning of December 2010, Cooper was appointed as a top adviser to the new diplomatic corps – external action service in Brussels parlance. That service is run by Catherine Ashton, the EU’s current foreign policy chief, and the third UK representative on my list. Ashton kicked off the New Year by choosing Israel and the occupied Palestinian territories for her first working trip abroad for 2011. Ashton used this trip to boast of how the EU is invariably generous to the Palestinian people. She announced an initial aid package of €100 million (£83 million) to the Palestinian Authority, signalling that more will be released to the PA during the course of this year. It is true that the EU is the largest provider of aid to the Palestinian Authority and is helping to finance the provision of vital services, including healthcare and education. But it is entirely wrong of Ashton to portray such aid as evidence of generosity. International law – in particular the Hague Regulations of 1907 – makes it clear that it is the responsibility of the occupying power to meet the basic needs of the people under occupation. What Ashton has failed to spell out is that the European Union is relieving Israel of its responsibilities under international law. The EU has a legal and moral duty to send the bills for its aid to Israel, especially when Israel causes damage to EU-financed infrastructure. The Union has had many opportunities to sue Israel when such destruction occurs, such as after the attack on Gaza in 2008 and 2009, when at least €11 million worth of damage was inflicted on EU-funded projects. Yet the EU’s institutions have repeatedly backed away from holding Israel to account. Ashton deserves a modicum of credit for speaking out last weekend against the demolition of the Shepherd hotel in East Jerusalem. Yet while she has issued several robust statements about the expansion of Israeli settlements in East Jerusalem, it should not be forgotten that she is eager to bring Israel even closer to the EU than it already is. During the autumn of last year, she recommended that Israel should be designated a “strategic partner” for the Union. This would put Israel on a similar ranking to larger economies like the US and China in terms of how it is prioritised by EU officialdom. Last week she described the EU’s relationship with Israel as “strong and solid” and expressed hope that it will become even stronger in the coming months. I will forgive you if you have not heard of the fourth and fifth UK representatives on my list. They are two police officers: Colin Smith and Paul Kernaghan. As younger men both Smith and Kernaghan were members of the Royal Ulster Constabulary, a police force which many Irish people, myself included, regard as synonymous with harassment of the Catholic community in the North of Ireland. This background alone should be sufficient to render them unsuitable for any policing role in the Middle East. Yet both men have headed an EU body called the Coordinating Office for Palestinian Police Support (COPPS). Propaganda would have us believe that this police training mission is designed to pave the way towards a Palestinian state. Documents drawn up by the Israeli authorities, however, have revealed the mission is subservient to Israel. One such document – from April last year – boasted of how there had been a rise of 72% in “coordinated actions” between Israeli and Palestinian police between 2008 and 2009. Just as significantly, the police mission is being used to drive a wedge between the political representatives of the Palestinian people. Human rights monitors have reported that the clashes between Fatah and Hamas have helped turn the occupied Palestinian territories into a “police state”. The EU mission has refused to deal with Hamas in Gaza and has instead confined its operations to the West Bank for the past few years. Police in the West Bank are known to have resorted to torture of Hamas supporters. Despite how the EU is nominally opposed to torture wherever it occurs, its representatives have been mainly silent about torture perpetrated by the very police officers in the West Bank who they are in charge of training. Political and economic relations between the EU and Israel are covered by an “association agreement” which came into effect in 2000. Article 2 of that agreement stipulates that both sides must respect human rights. Even though that condition is legally-binding, the EU has turned a blind eye to many of the crimes that Israel has committed against the Palestinians over the ensuing decade. After the attacks on Gaza in 2008 and 2009, for example, the EU extended the scope of trade preferences that it offers to agricultural goods from Israel. As a result most Israeli food exports, both fresh and processed, can enter the EU without having to pay customs duties. The EU is already Israel’s largest trading partner and both sides have expressed an interest in increasing the volume of that trade. The European Commission has gone so far as to set up a body known as the EU-Israel business dialogue, where chief executives can brainstorm on how to overcome any obstacles they encounter when trying to make profits. Britain is the third largest destination for Israeli exports. Peter Mandelson, the former business secretary, voiced hopes during his time in office that the volume of British-Israeli trade will be worth more than £3 billion per annum by 2012. If realised, that would be an increase of £700 million in the volume of trade over a five-year period. Many of the companies trading between Britain and Israel are directly involved in the occupation of Palestine. Travellers on the London Underground are under surveillance from video equipment manufactured by Verint, a subsidiary of the Israeli firm Comverse Technology. Verint has also won a contract to install a closed circuit TV system in Earl’s Court as part of preparations for next year’s Olympic Games. BT, meanwhile, has a special partnership with Bezeq, an Israeli company that provides telecommunications to illegal settlements and military checkpoints in the West Bank. Around this time last year, Bezeq was admitted into the BT Alliance programme, under which it enjoys access to BT services on preferential terms. Worse again, some of the components used by Israel’s most lethal warplanes are manufactured on British soil. Elbit, the maker of the pilotless drones that have killed numerous civilians in Gaza, has invested considerably in this country. Engines for one of Elbit’s drones, the Hermes 450, are made at its factory in Lichfield, north of Birmingham. Earlier today, I was scheduled to give a separate talk to the International Centre for the Study of Radicalisation in King's College London. I decided, however, to withdraw from this event when I learned that this centre is a partnership between four different academic institutions, including the Herzliya Inter-Disciplinary Centre in Israel. After consulting with the Boycott Divestment and Sanctions National Committee, which represents a wide cross-society of Palestinian society, I learned that the Herzliya centre reserves 10% of its places for veterans of elite combat units in the Israeli army and that it has expressed pride in how its students work for Israeli arms companies. I support the campaign to boycott institutions that enable the occupation of Palestine and for that reason I felt that I had no choice than to boycott the partnership between the Herzliya centre and King's College London. I was similarly shocked to learn that Shimon Peres, the Israeli president, was given an honorary doctorate by King’s College in November 2008. The authorities who decided to give this award to an inveterate war-monger like Peres should be ashamed of themselves. I salute those students in King's College who have called for this honour to be revoked. Israel is certainly dramatic but it is no utopia. Rather, it is state established as a result of a vicious colonial project. Six decades after its establishment, Israel is continuing to oppress an entire people. Ending that oppression is one of the greatest moral challenges of our age. ·Text of a presentation given to the Islamic Human Rights Commission’s book shop in Wembley, London, 12 January 2011.